AmazonSmile will donate 0.05% of the purchase price from your eligible AmazonSmile purchases to Fauquier FISH. Navigate to http://smile.amazon.com/ch/54-1271237 and start shopping! If you are not already logged into amazon, you will be asked to log in. Your username and password for AmazonSmile are the same as Amazon. AmazonSmile will remember your charity selection, and then every eligible purchase you make at smile.amazon.com will result in a donation. 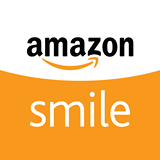 Remember, in order for Fauquier FISH to receive your donation, you need to shop at http://www.smile.amazon.com, not http://www.amazon.com.